The glass collection is arranged in one long hallway that abuts bars and restaurants. On a hot day, it is easy to hop back and forth between the county fair atmosphere of the Navy Pier to the air conditioned walkway and the reverent silence inspired by the luminous art. The glass is split for the most part into chronological and thematic groups. 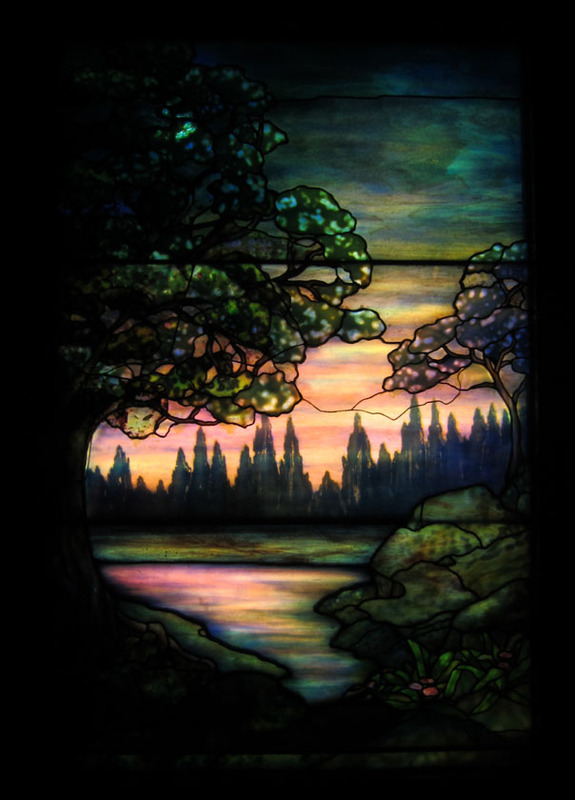 Most of the collection focuses on American stained glass art of the late 19th and 20th centuries but there is a fair representation of European, religious and modern pieces. Here are just some of my favorites in the museum. 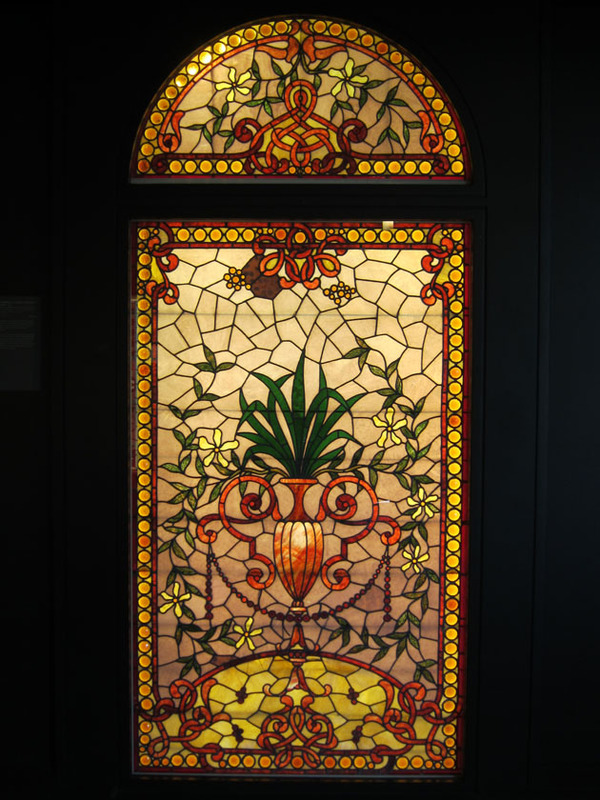 Several alcoves and rooms pay tribute to the Tiffany workshops – the most famous American glass maker. 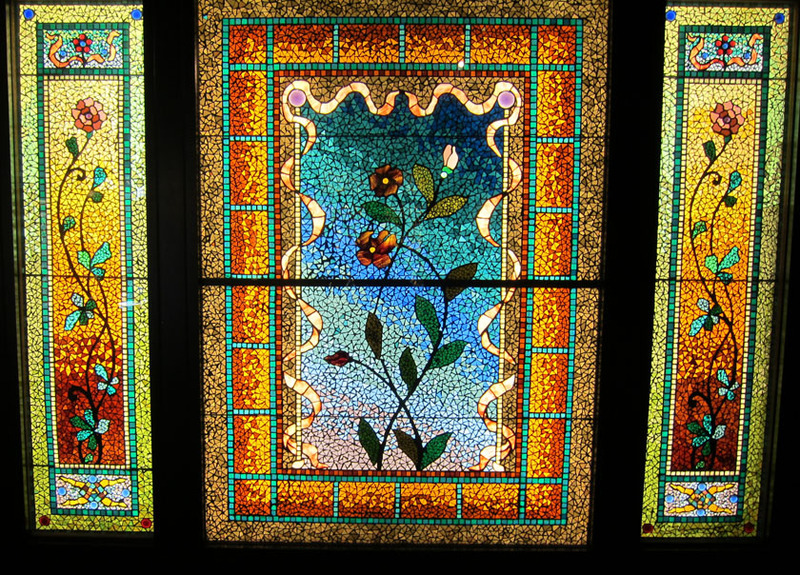 Tiffany windows often employ two layers of semi-opaque glass to achieve beautiful and subtle effects. I particularly loved this sunrise framed by the massive opaque tree. You can almost see the dew evaporating of the ground. 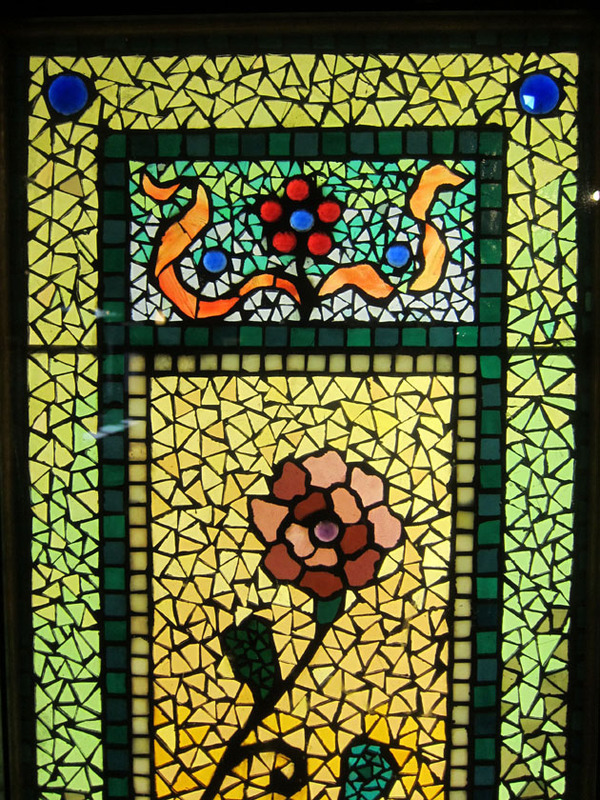 This mosaic style window with its geometric and broken tile design looks modern but is actually from the 1880’s. 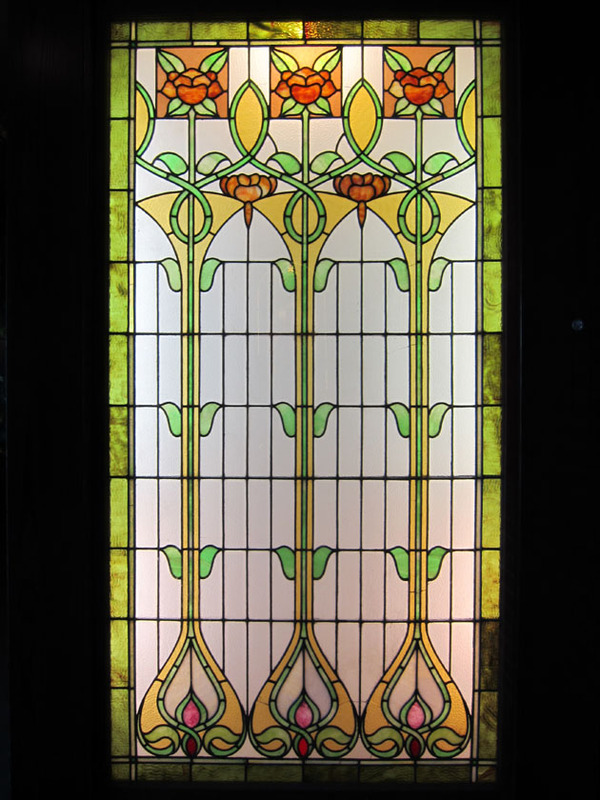 This type of window was made by sandwiching colored glass tiles between asbestos sheets and heating so that it all fused into a single flawless window. These types of windows are fragile and incredibly rare. Gorgeous! This has been on my to-see list for a while, must get to Chicago soon.